Tolls are an aggravating pitstop many California commuters must make on their way to work, play and other destinations. For some, they can feel their stomach sink with remorse every time they see one peeking up over the horizon in the distance. Being funneled through a bottleneck like a herd of cattle can make one feel like they’re just another cog in the network of cars accessing the greater interstate infrastructure. Is this what you feel like? Maybe it’s about time to upgrade to a CA FasTrak. Imagine a world where you don’t have to spend 10-minutes bumper to bumper filing through a narrow passage. You won’t ever have to remorsefully realize you don’t have any cash on you, as you creep closer to the kiosk – knowing you’ve disappointed the person collecting the cash. They don’t teach you about FasTrak in traffic school, but we’ll tell you all about it, because this pass is making the toll exchange a whole lot simpler. 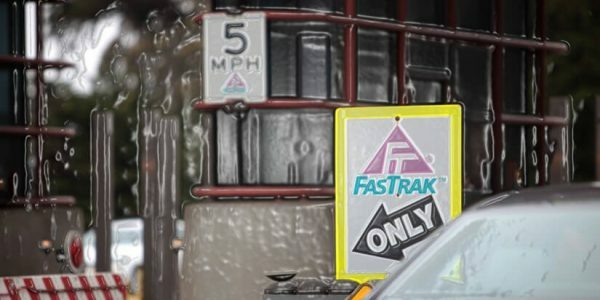 So, is it a good idea to purchase a CA FasTrak pass? We’re delving into this very question. Carpooling with a FasTrak pass is easier than ever. With the newest functionality, you can select the number of occupants in your vehicle at a flick of a switch – literally. You now have the set number of passengers you are carpooling with by selecting the amount pre-programmed onto your FasTrak. Now, you have no excuse to drive your friends to work. One of the best qualities about having a FasTrak pass is the ability to quickly fly by those bottlenecked gates. You’re not waiting on others, because the FasTrak is putting you on the… well… Fast track. The process of paying your toll won’t hold you up in traffic any longer. The worst thing you experience on your morning commute is the dull exchange of words with a random stranger behind a kiosk. A FasTrak eliminates the middleman altogether. If you like your mornings people-free, then a FasTrak is a smart investment on your end. According to the FasTrak special offers, people with a pass pay $1 less on average than the run of the mill toll cash exchanger. Over a period of time, this piles up. That’s an additional coffee in the morning. Perhaps a packet of gum. It could also go in a jar that you can crack open in a fit of financial despair later on in life. Arriving to a toll booth without cash on hand is an awkward exchange. You don’t need the additional stress added to your day – especially if you’re commuting to work. When you have to tear your car inside out to throw together a few dollars, the toll worker judges you. It’s hard not to. Not only that, but you’re disappointing the other drivers because they have places to be too. Stop scavenging for change between the seats. The FasTrak pass is done digitally, so there’s no mess and no last-minute scavenger hunt for seat change. Managing your account online is quick and easy – like passing through a toll area with your FasTrak pass. The electronic dashboard lets you quickly manage payments, see transactions, and change your FastTrak plan from the convenience of your home. All you have to do is create your account online and get started. This could be the most simplistic government website to date.